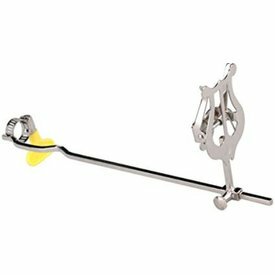 With a movable lyre head, the two-piece trombone lyre is available to fit a tenor receiver (#514-T) or a bass receiver (#514-B). A 4” stem with one ¾” bend toward the trumpet bell. These fine ligatures are produced for all clarinets. This model is for Bb (#332). Made of sturdy steel and nickel plated, the APM cleaning rod has become an industry standard.